Nuts are a healthy snack option. They are packed full of nutrients and good fats so they are a great addition to a balanced healthy diet. Nuts can be eaten in meals, on top of salads, or eaten raw. If you don’t like to eat them on their own then you can buy wholesale trail mix online so that you can enjoy with fruits as an alternative to sugary snacks. Protein is an important part of any diet as it contains non-essential amino acids that act as stepping stones for a healthy body. Protein plays an important role in nutrition and can ward off hunger and malnutrition that could potentially lead to heart problems and other diseases. Nuts such as cashews and brazils are particularly high in protein. Almonds are high in magnesium, which we need to stay healthy. Magnesium helps the body regulate blood pressure, which can rise quickly as we get older and when we exercise frequently. If you are worried about your blood pressure you should seek medical support, but if you are fit and healthy and want it to stay that way, eating almonds will help. 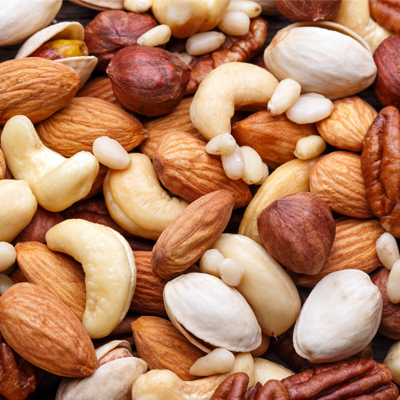 Snacking on nuts or wholesale trial mix will keep you full for longer so you will not feel the urge to snack as much. 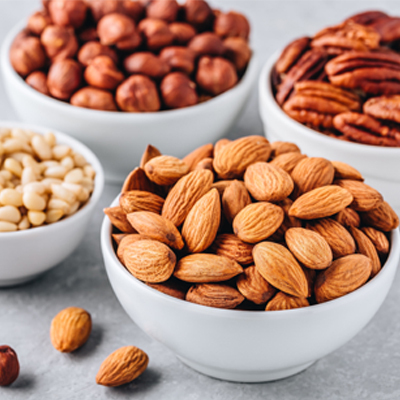 While some nuts are high in calories and fats, they are good fats and when eating in small quantities as part of a calorie controlled diet they can help you reach your weight goals. Our bodies need to be in rich in selenium as it is a key factor in keeping our immune system running as it should. Eating just 2 or 3 brazil nuts each day will boost your selenium levels. We need good levels of fiber in our diet to help with our digestion and keep our bowel movement regular and healthy. Cashews and pistachios are particularly high in fiber and are both great sources of iron too. 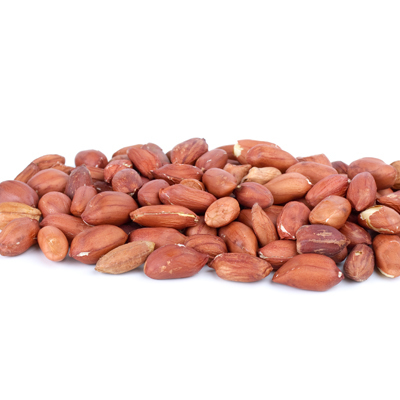 However you like to eat your nuts, Californian Gourmet Nuts have a wide range of wholesale nuts online for your convenience.